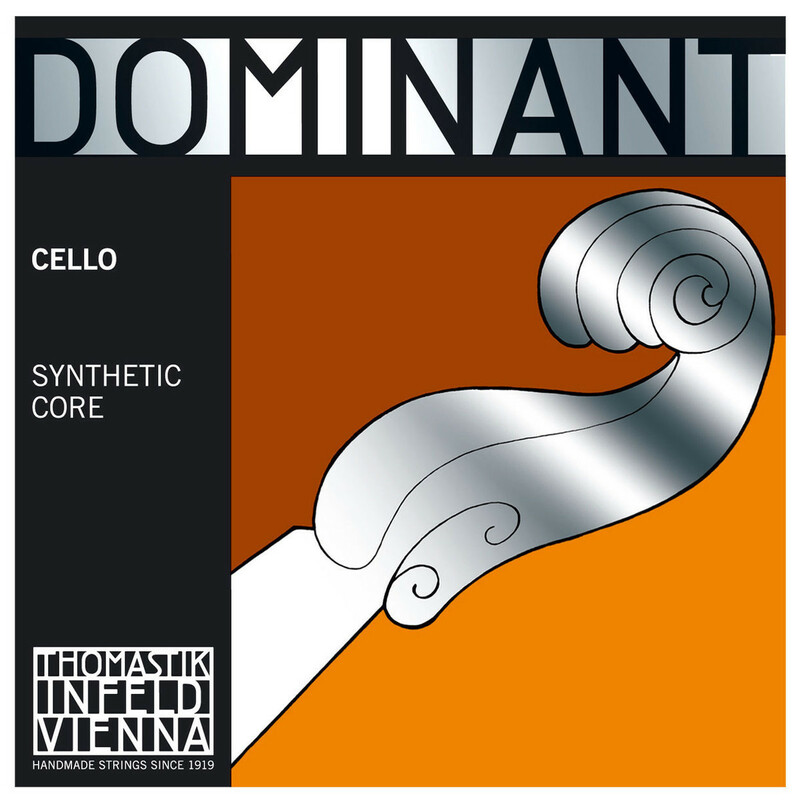 The Thomastik Dominant 144AW chrome wound cello G string has a flexible synthetic core that provides a warm, clear tone. Recreating the sound of gut strings, Thomastik?s Dominant range is also resistant to change from humidity which provides durability and reliability. The medium size gives a well balanced sound that will comfortably compliment all 4/4 scale cellos. The classic tone has made the Dominant series a standard in synthetic strings. With a silver winding the softness of the tone is increased, and produces thinner string with a more flexible sound. The slightly lighter gauge tension gives the string more twang and treble. For a versatile G string with strong overtones and a more mellow sound than steel, the Thomastik Dominant 144AW is an ideal choice for live, studio and casual cellists.